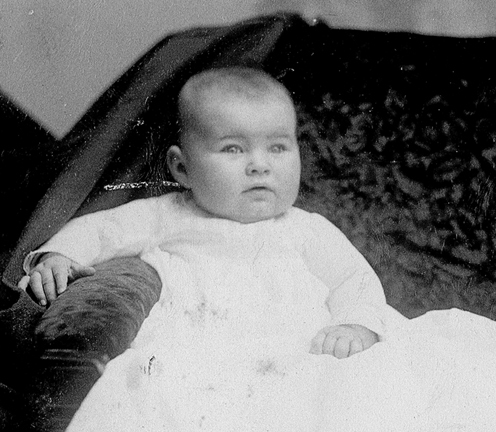 Christmas, 1889 - Six months old. Mary A. Maute (1889-1969) is the daughter of John Maute and Mary Balthasar. She married Albert Degenhart, Sr. 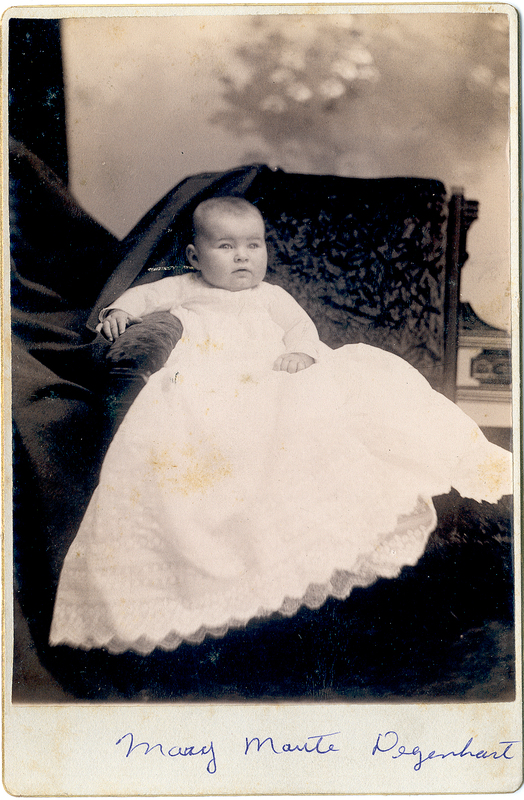 Written on the back of the original of this photograph: "Mary A. Maute, 6 Months of age, Xmas 1889."